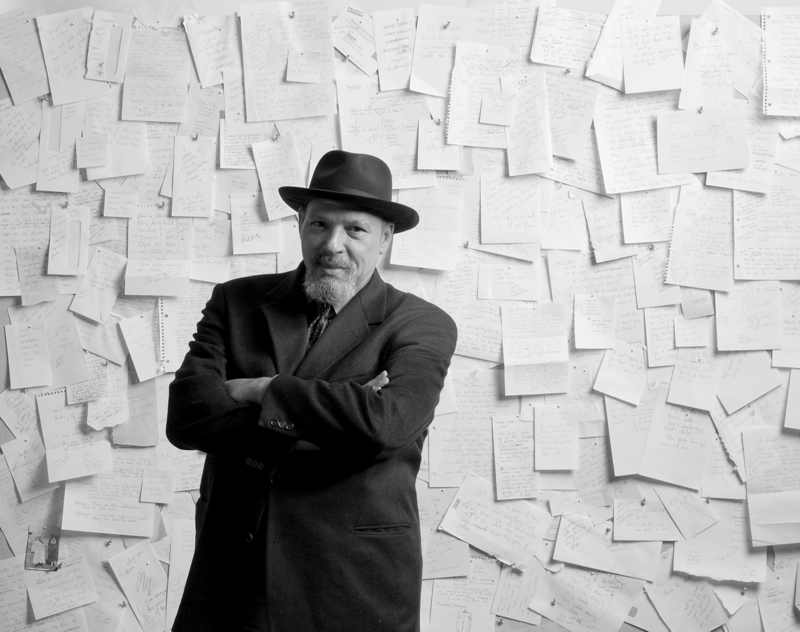 August Wilson, circa 2004. Photo: David Cooper. “He wrote about the frustration and the glory of being black.” This curtain-raising assessment of playwright August Wilson by his friend and colleague, actor/writer/director Ruben Santiago-Hudson, pretty much sets the tone for August Wilson: The Ground on Which I Stand. The latest installment in the PBS American Masters series, August Wilson: The Ground on Which I Stand, is a no-nonsense celebration of the 70th anniversary of Wilson’s birth (1945), the 10th anniversary of his untimely death (2005) and a timely programming choice for Black History month. If you love the theater, be sure not to miss the debut of this informative, 90-minute documentary on PBS tonight, February 20, 2015, 9:00-10:30 p.m. ET. (Check local listings for air times in your region.) The film will also be available for streaming after the broadcast at http://www.pbs.org/wnet/americanmasters and on DVD on February 24. 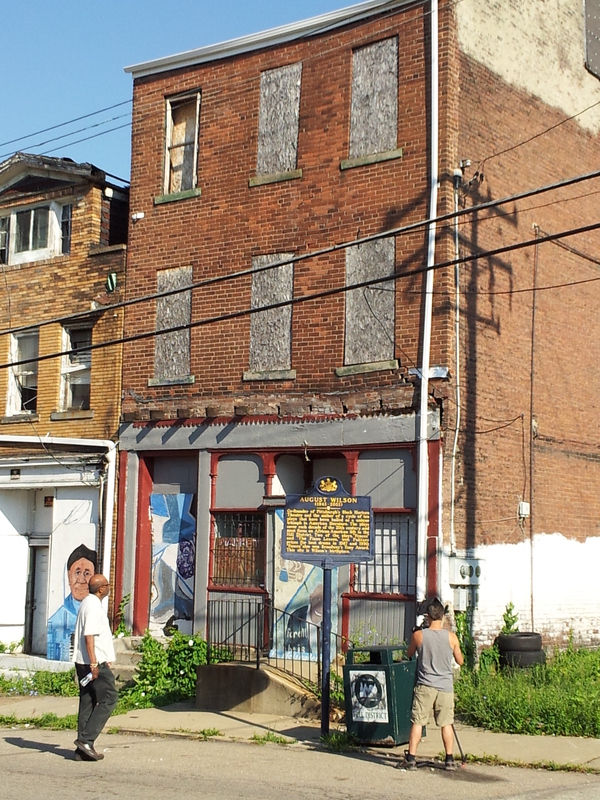 August Wilson’s childhood home (then without running water) in Pittsburgh’s Hill district is now on the National Register of Historic Places. Photo courtesy WQED Pittsburgh. Although he breaks no new creative ground with this film, Emmy Award-winning director Sam Pollard provides something much more valuable. Not only do we see and hear Wilson in vintage interviews, but we are privy to stirring performance excerpts, as staged readings or clips from filmed footage of his original Broadway productions and the 1995 Hallmark Hall of Fame production of The Piano Lesson. While I clearly remember having seen and loved the latter, I confess with some shame that I’ve never experienced a live performance of one of August Wilson’s plays. Hopefully, Pollard’s documentary will propel you, as it has me, to seek out Wilson’s work, on the page and on stage. Wilson grew up poor in Pittsburgh, one of seven children of a black mother and an immigrant white father. Unable to surmount the racial bullying that he faced in school and without the support of a stable father figure (the German baker spent most of his time drunk, unemployed and absent), Wilson quit school in his teens and educated himself in Pittsburgh’s Carnegie Library. His passion for poetry opened his eyes and ears to the faces and voices he found on Pittsburgh’s street corners and in local hang-outs, like coffee shops and barber shops, where he scribbled notes for his poems and met locals who eventually inspired characters in his plays. 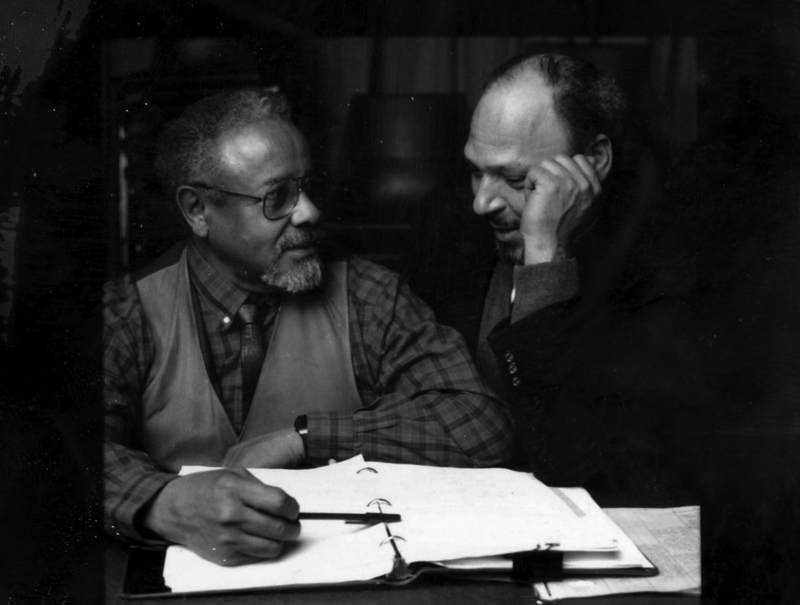 August Wilson (right) and his mentor, Lloyd Richards (left), who directed Wilson’s first six Broadway plays. Photo courtesy The Yale Repertory Theatre. August Wilson ascended the Broadway boards via his collaboration with mentor Lloyd Richards, the legendary African-American director whom Wilson met and impressed while attending the prestigious National Playwrights Conference at the O’Neill Theater Center in Connecticut. Wilson’s greatest achievement as an American playwright and his enduring legacy within African-American culture is his monumental 10-play cycle: Each play centers on a different decade of the 20th century, beginning with 1900 (Gem of the Ocean) and ending with 1990 (Radio Golf). 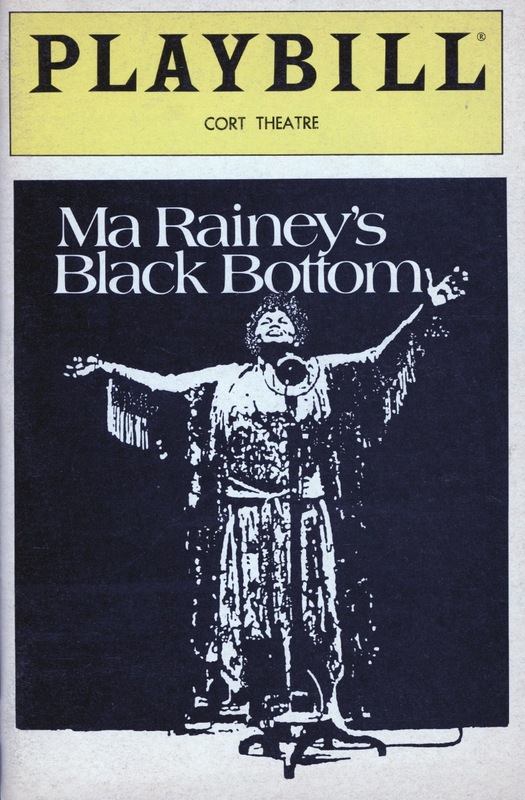 Not surprisingly, all but one of the plays — Ma Rainey’s Black Bottom (1920)—are set in Pittsburgh. Wilson’s journey from Pittsburgh and poetry to playwriting and Pulitzers through the ranks of the burgeoning black awareness creative community sparked by the Civil Rights movement of the Sixties is crisply detailed here in extensive interview footage. In addition to the clips featuring Wilson himself, the articulate, spot-on recollections from noted critics, actors, scholars and his widow, costume designer Constanza Romero, are key assets in this film. Now major film and TV performers, Viola Davis, Charles Dutton, Laurence Fishburne, and Ruben Santiago-Hudson all drew early critical acclaim in August Wilson’s plays and are authoritative voices here, whether in interviews or performance footage. Although the subtitle of this film mirrors the title of an essay written by Wilson regarding “the need for black cultural separatism,” I encourage you to watch August Wilson: The Ground on Which I Stand, not only for an understanding and appreciation of Wilson’s cultural importance to the African-American community in the 20th century, but as a universal voice that transcends skin color and speaks to the challenges and joys we all face as members of American families and immigrant cultures. 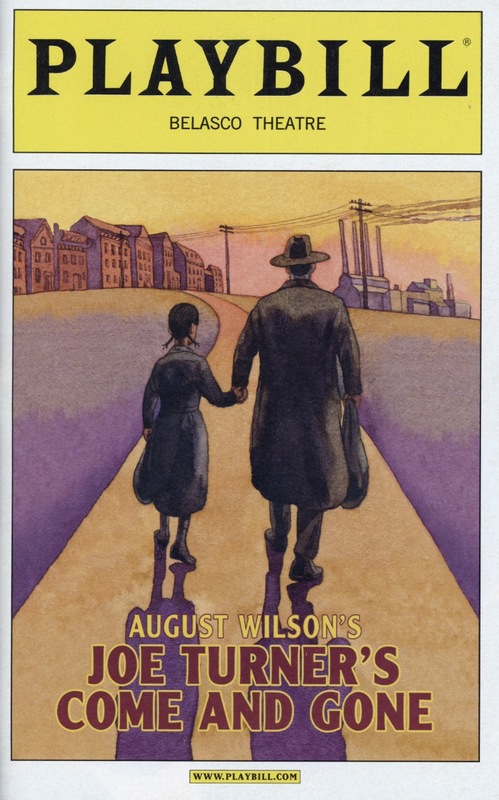 If you didn’t come to this film knowing that August Wilson was one of the greatest American playwrights on par with Eugene O’Neill, Tennessee Williams and Edward Albee, watching the breathtaking footage of Viola Davis’ jaw-dropping performance in Wilson’s King Hedley II (2001) will surely send you running to the nearest library, Barnes & Noble or Amazon.com to grab a copy of this play and tickets to every Wilson revival on the horizon. This entry was posted in Film, Theater, Theatre, TV and tagged African-American Studies, American Masters, August Wilson, August Wilson The Ground on Which I Stand, Charles Dutton, Laurence Fishburne, Lloyd Richards, O'Neill Theater Center, Playwrights, Ruben Santiago-Hudson, Sam Pollard, Viola Davis. Bookmark the permalink.